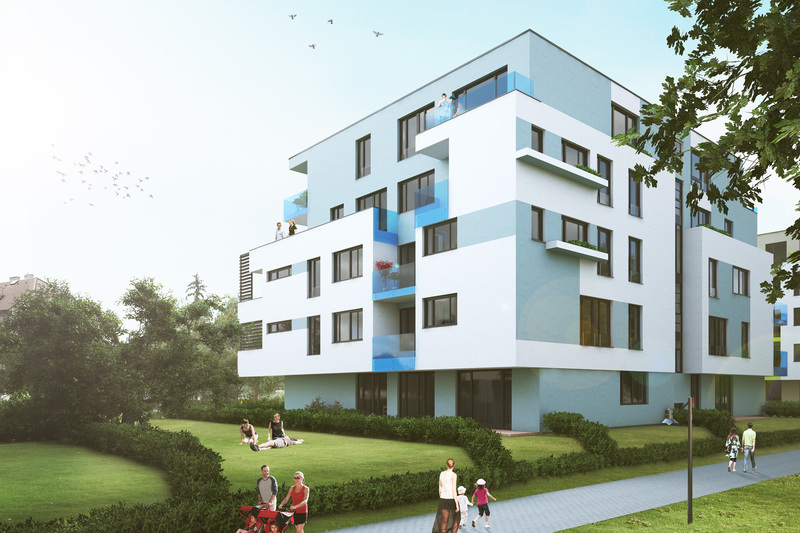 As the name suggests, 2Barevné Letňany is a loose sequel to the massively successful Barevné Letňany housing project, which consisted of three blocks of flats built between 2008 to 2011 and named the Red, Yellow and Blue blocks based on their facade colours. 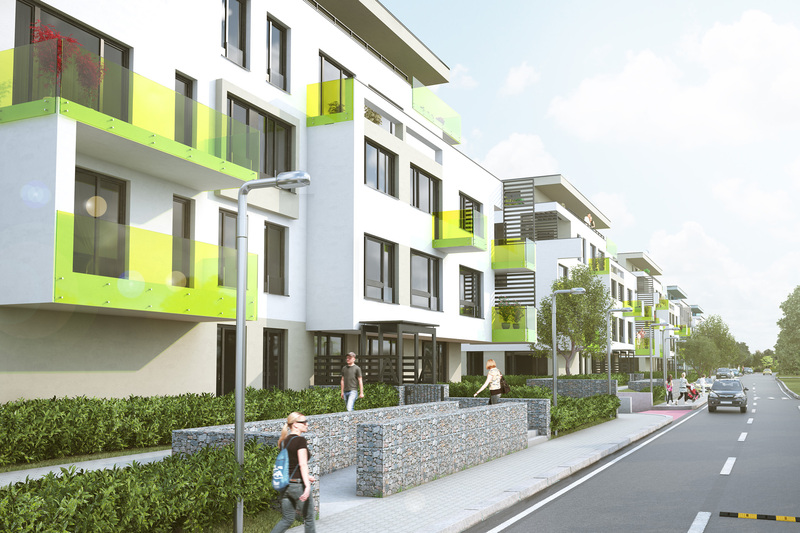 All the three stages accommodated the demand for eco-friendly living. 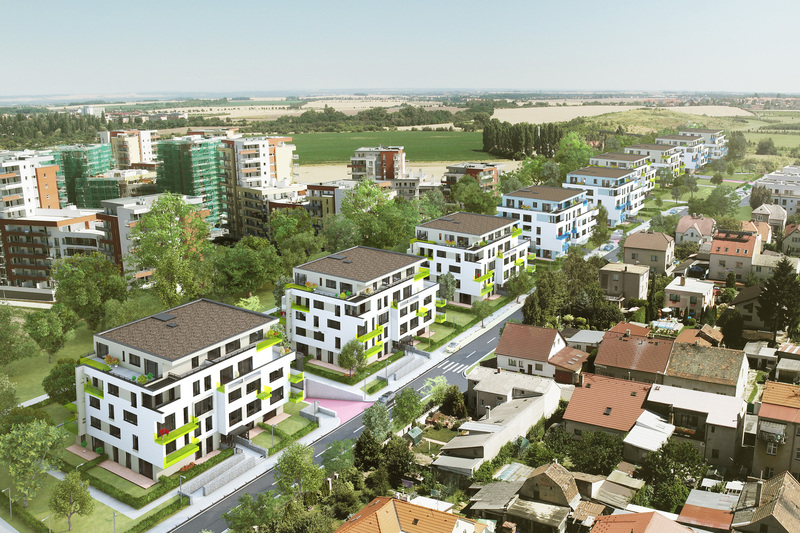 The new buildings that are currently being constructed in Letňany, will satisfy everyone who likes quality and comfortable living and thinks about the future and the environment that we live in. Stage I is almost sold out now and one last vacant flat remains for immediate moving in. Stages II and III consists of 6 buildings with 23 or 24 flats each. 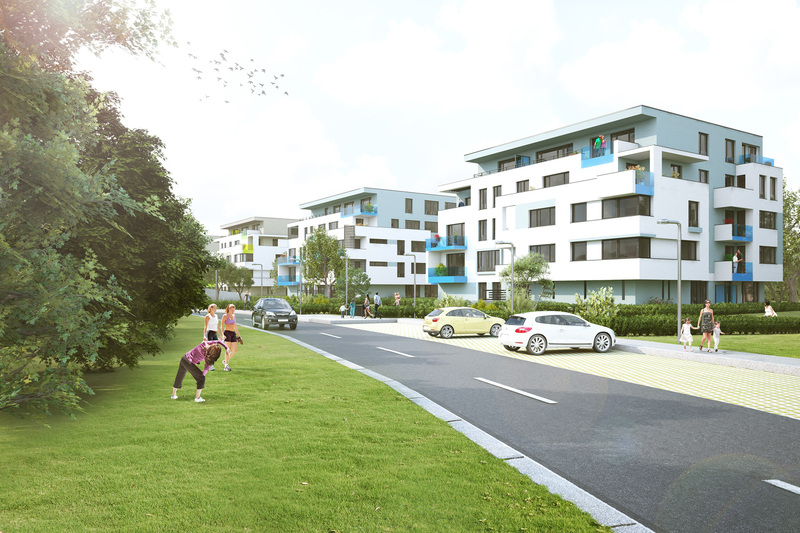 The buildings are designed as low-energy structures in a high living standard and with a remarkable money saving. 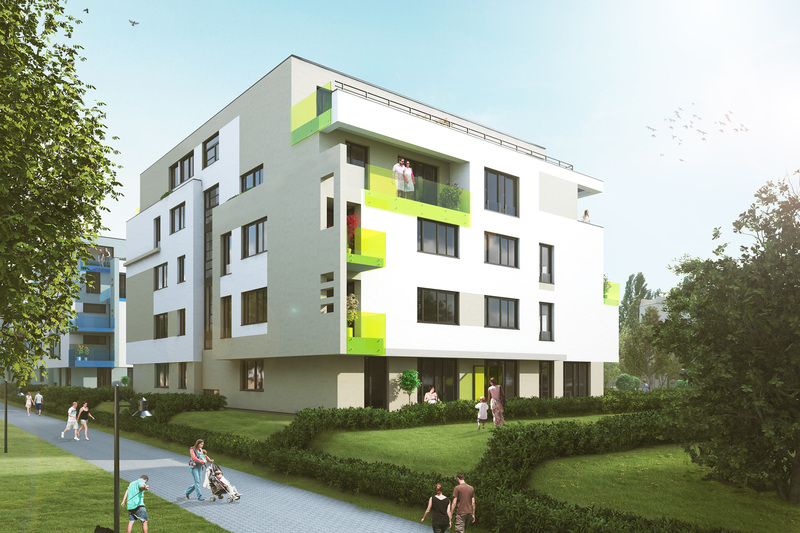 When developing the Letňany housing project, we focused on latest housing technologies and trends. Besides quality fired brick masonry, which is typical of all our buildings, we use quality plastic windows with triple glazing, which reduce the heat loss considerably and thus save on energy for heating the flats. The cornerstone of this eco-friendly and very high-quality housing is the built-in air-conditioning system with powerful heat recovery units. It ensures an even ventilation of all the flats, thus improved air quality and even heating of the entire living area. Thanks to heat recovery, you reuse the heat from the exhausted air to heat the fresh air coming from the exterior, which results in a non-negligible heat saving. In Stage III, the air-conditioning units are expanded with cooling of the incoming air in summer, which is better from the health point of view than when using closed-circuit air-conditioning. Stage II launched a new era of modular housing, and Stage III is continuing it. 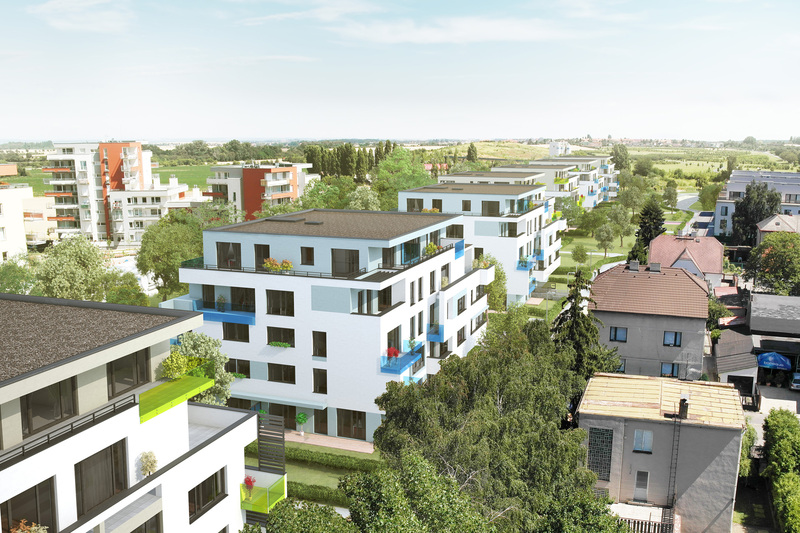 The project contains flats that can be purchased separately and later connected with some simple adjustments. The flats can also be connected right now, and then a few simple adjustments will divide them into two separate flats when needed. 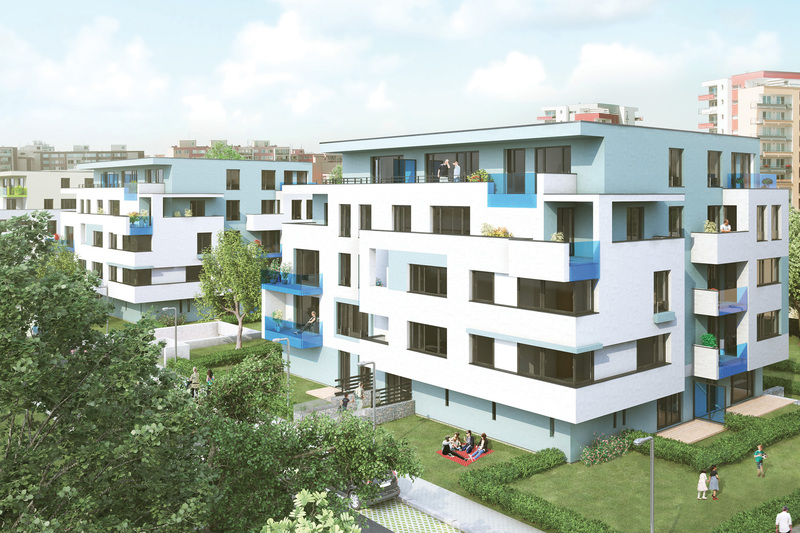 The advantage of this design is that the housing solution adjusts to the owner’s current need, along with a possible monetary income in case the owner decides to only use one of the flats for the time being and rent out the other. 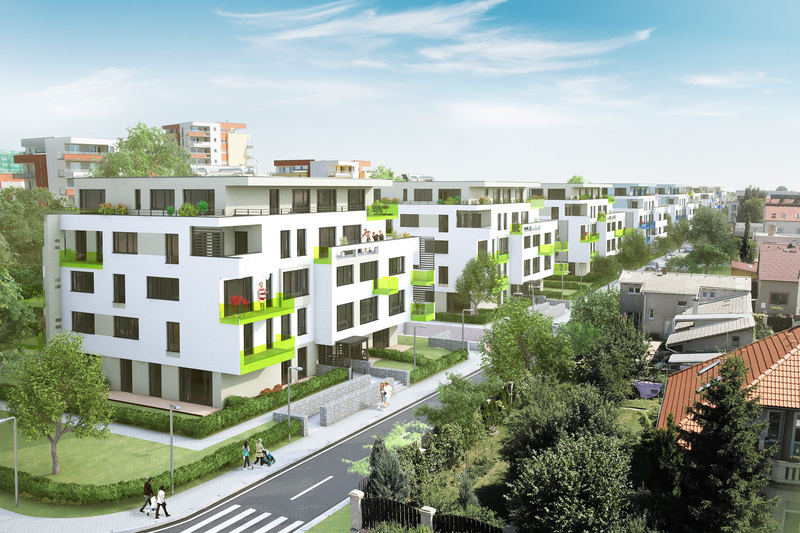 Thanks to its location, modern yet very pleasant design, consideration for eco-friendly and energy-saving living trends, 2Barevné Letňany is an ideal project for everyone who lives actively and cares about their housing quality. 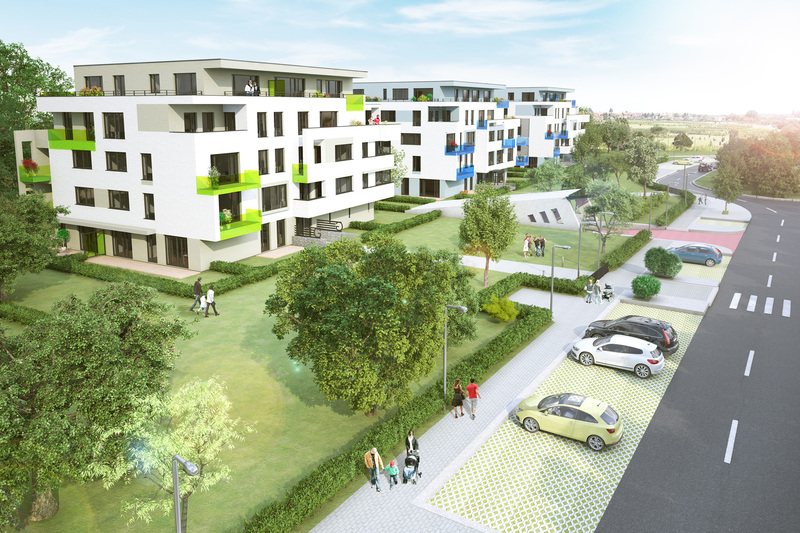 It is suitable for families with children, who will appreciate the project’s speciality: a fenced green zone in which the children can play at a safe distance from the street. Another advantage is the quiet that Letňany offers (along with good transport connection) as well as the nearby Letňany Park Forest.